Want to have an oh-so romantic and elegant touch in your upcoming wedding? All you need is the essence of beauty and glamour in the form of wonderful floral wedding invitations. The floral charisma imparted on these stunning wedding invitations takes everyone’s breaths away and this calls a floral theme wedding cards collection by 123WeddingCards. The designs, patterns and hues exuberantly added by our designer team in our floral collection make it a total stunner. All right! You want to know what is so special about these floral invitations. Well, they are the epitome of style, charm and romance and they completely set an awesome stage for your nuptials irrespective of the wedding theme you have selected. With all their glamour, these floral theme wedding cards are perfect for rustic, vintage, floral and various other wedding themes and not just this, your guests would love and cherish their beauty for sure. Moreover, at 123WeddingCards, you would find the whole matching wedding invitation suite online for your wedding that too in a pocket-friendly budget. 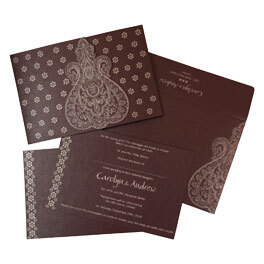 The fresh feeling of Amazing Peacock Wedding Invitations could be intensified by using our customization. With the help of this, you can be the designer of your own wedding invitation by selecting your favorite color, pattern, wedding wordings and various other details. Buying wedding invitations online was not so easy before and we are sure for this. 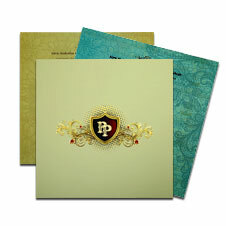 Browse through our intensive collection of wedding invitations and choose your own personal favorite. Don’t worry about the prices as we have pocket-friendly cheap wedding invitations too. You will be simply overwhelmed by our collection. Add a ‘wow’ factor for your wedding, choose our beautiful floral wedding cards.